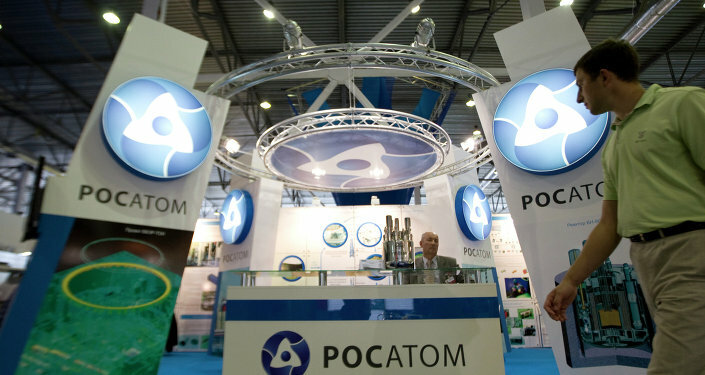 Russia's permanent representative to international organizations in Vienna said that Russia has informed the International Atomic Energy Agency’s Board of Governors that it disagrees with nuclear facilities in Crimea being defined as part of Ukraine in the agency's annual report. VIENNA (Sputnik) – Russia has informed the International Atomic Energy Agency’s (IAEA) Board of Governors that it disagrees with nuclear facilities in Crimea being defined as part of Ukraine in the agency's annual report, Russia's permanent representative to international organizations in Vienna Vladimir Voronkov said Monday. “Now we are discussing the annual IAEA report, a draft of which was prepared by the secretariat. It contains inaccurate information that a number of nuclear facilities in the Russian Crimea are under the agency’s safeguards and belong to Ukraine,” Voronkov told RIA Novosti. Voronkov mentioned the pool-type research reactor IR-100 located on the sites of the Sevastopol Institute of Nuclear Energy and Industry as an example of nuclear facilities being wrongly attributed to Ukraine in IAEA’s report. “Naturally, the Russian side made clear that after the reunification of Crimea with Russia, such statements are contrary to both common sense and international law,” he added. This does not mean, however, that Russia disagrees with the rest of IAEA's report, Voronkov stressed. The IAEA board of governors meeting started on Monday and will last until Friday. In March 2014, the Black Sea peninsula of Crimea and its special-status port city of Sevastopol rejoined Russia following a referendum on which 96 percent of voters backed seceding from Ukraine. Kiev and Western countries have not recognized the validity of the referendum.